Other Products: Tombow Multi Mono Glue, Distress Inks (Tattered Rose, Bundled Sage), Golden glitter, Creative Embellishment laser cut embellishments (Ornate frames, Autumn leaves). Instructions: Start with a 5.5" X 5.5" folded card base. Cut a pattern paper from the Classic Sunflower Collection. Stamp the image from the Sunflower Bouquet PreCut Set twice on the pattern paper. Colour the stamped image using distress inks. 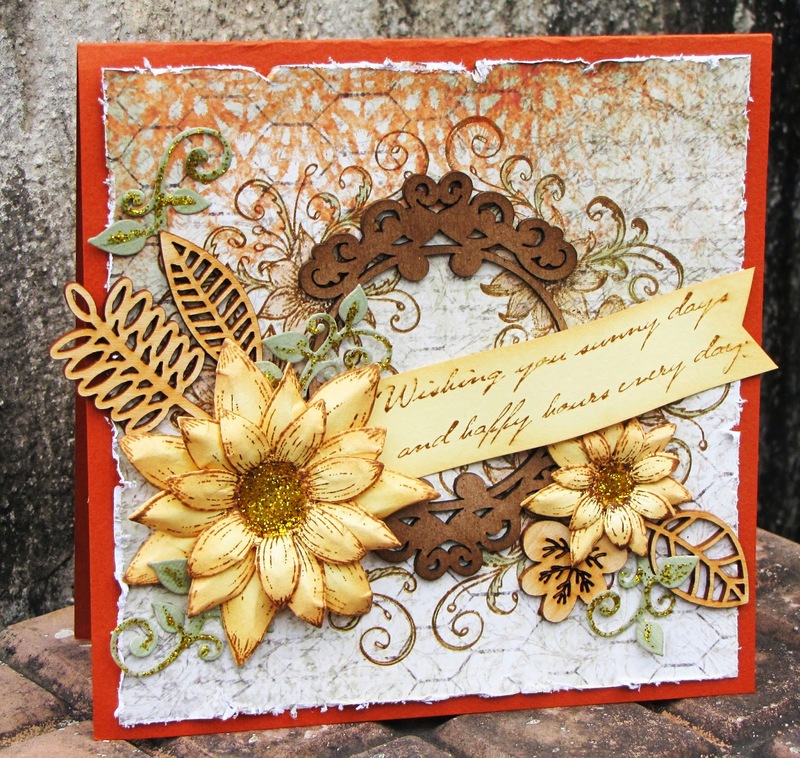 Stamp the background image using the Classic Sunflower PreCut Set on cream card stock and die cut the flowers using Classic Sunflower die. Colour the die cut flowers using distress inks and mold them to shape. Add glitter for the centre. Make a sentiment banner and arrange everything as shown. This is sooooo pretty! I love the wood veneer wheat! This is beautiful! Great way to showcase the chipboard and your sunflowers are stunning! beautiful card love your sunflowers so delicate looking. 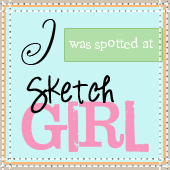 Greetings from the paper crafts lovers at Creative Endearment!! We have started a page to showcase all the amazing crafters in India. We are having our first giveaway to promote our newbie facebook page. 3 Lucky Winner to get- "DCWV FLORAL PRINTS PAPER STACK". We will display the best entries on our page along with the winning entry, and yes, mind it- we are not stealing any credits. We will post the best entries on our page as your original creation- mentioning your blog address and details. You may choose to watermark your images too. We have no issues.